The Chronicle of Cultural Misandry: Feminist Myth Debunked: Women were the majority of voters since 1964. Feminist Myth Debunked: Women were the majority of voters since 1964. 65.7% - The percentage of eligible female voters who voted in the 2008 election. 61.5% - The percentage of eligible male voters who voted in the 2008 election. 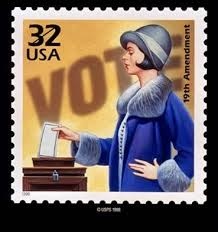 70.4 million -- The number of women who cast ballots in the 2008 presidential election, versus 60.7 million men. 56% - The percentage of female voters who voted for Barack Obama in 2008, versus 43% for John McCain"
of male voters in every presidential election since 1964"
So essentially women have been voting in the very politicians the feminist movement claims have been enslaving women since 1964. Which other "oppressed" class votes in its oppressors? social circules. I enjoyed your article and planning to rewrite it on my own blog. French Divorce Laws late 1700's though 1800's.